Robotic surgery is a type of procedure that is similar to laparoscopic surgery. 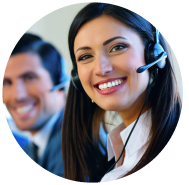 It also can be performed through smaller surgical cuts than traditional open surgery. The small, precise movements that are possible with this type of surgery give it some advantages over standard endoscopic techniques.Sometimes robotic-assisted laparoscopy can allow a surgeon to perform a less-invasive procedure that was once only possible with more invasive open surgery. Once it is placed in the abdomen, a robotic arm is easier for the surgeon to use than the instruments in endoscopic surgery. The robot reduces the surgeon’s movements (for example, moving 1/2 inch for every 1 inch the surgeon moves), which reduces some of the hand tremors and movements that might otherwise make the surgery less precise. Also, robotic instruments can access hard-to-reach areas of your body more easily through smaller surgical cuts compared to traditional open and laparoscopic surgery.During robotic surgery, the surgeon can more easily see the area being operated on. The surgeon is also in a much more comfortable position and can move in a more natural way than during endoscopy. 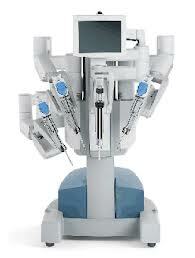 However, robotic surgery can take longer to perform, due to the amount of time needed to set up the robot. Also, the robot is expensive to use and may not be available in many hospitals. 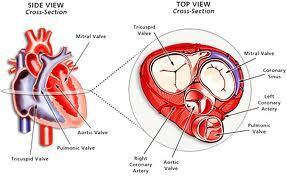 Robot-assisted Atrial Septal defect repair may be used to treat a hole between the upper chambers of the heart that does not close properly during foetal development. Robot-assisted Biventricular Pacemaker lead placement may be used to treat heart failure due to Atrial Fibrillation (irregular heart rhythm in the upper chambers of the heart. 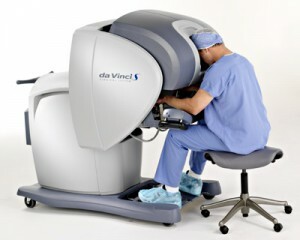 The da Vinci Si with 3D HD vision is the most advanced platform for minimally invasive surgery available today. It combines superior 3D visualization along with great enhanced dexterity, precision and control in an intuitive ergonomic interface with breakthrough surgical capabilities. By enhancing surgical capabilities, robotic surgery helps to improve clinical outcomes and redefine standards of care.